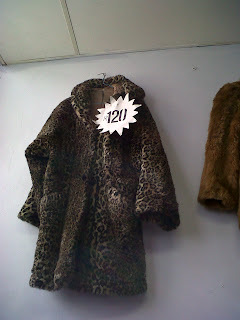 Coat King = huge second hand clothing store specialising in coats. They have all sorts. 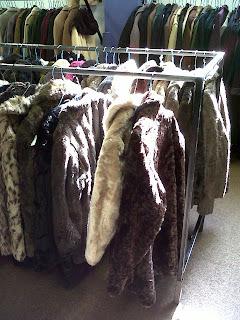 There were some very interesting ones, a leopard print faux fur coat, various parka's, melton coats, camel coats etc. I tried on a cool cobalt blue military coat but it was too big and long. Oh well. Because it's random selections they're not going to have another size if the coat you find doesn't fit properly. And you'll want to dry clean the coat to get that new freshness and shape back. And by want I mean you'll need to. It's worth a look if you're after something different that no one else will have too. Excuse the cell phone quality pictures. It's all I had on me.